The above sign says the "Camelot" but the information I have that it was taken in Bearsted in the 1980s. The problem is I do not know of a "Camelot" in Bearsted, so I have either missed this one out, or it's in a neighbouring village. Does anyone know where the pub could be? From an email received 12 July 2014. 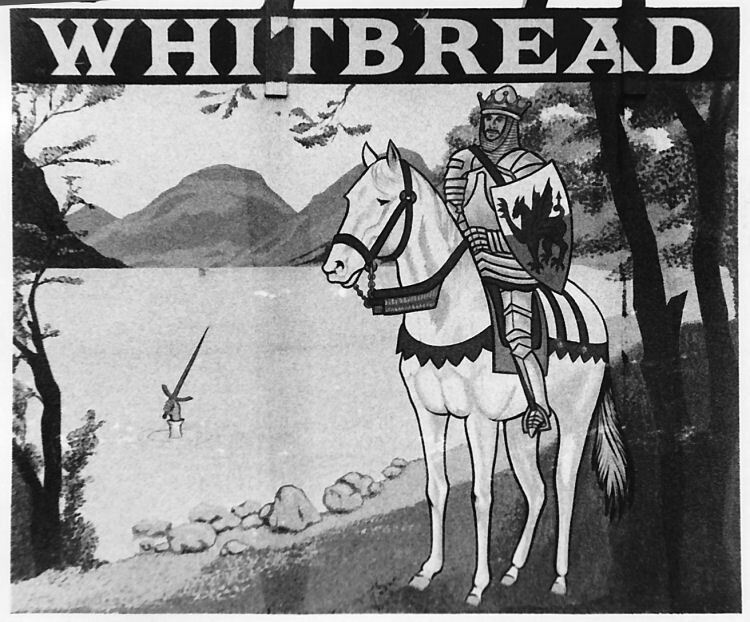 The "White Horse" in Bearsted was known as The "Camelot" for a short period in the the late 1970s or early 1970s. It was made over as a Whitbread theme pub and described in the Guardian newspaper as (I can't remember exactly) one of the worst or most tasteless theme pubs ever with plastic excaliburs etc. Sorry I did not keep the article but I believe it was by Richard Boston who had a weekly column promoting ale and pubs in the very early days of Camra.